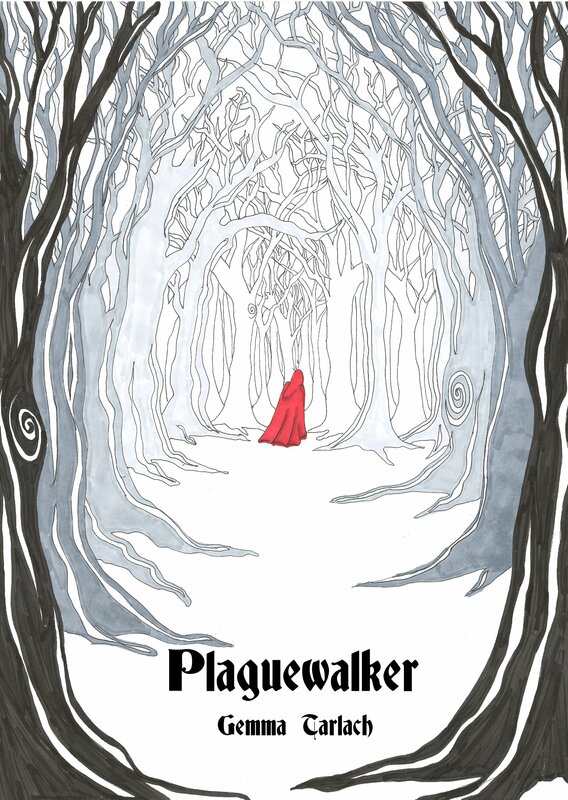 I’m on the eve, metaphorically speaking, of seeing Plaguewalker published. The interior has been proofed (by my ever-fabulous editor Dulcie), formatted, checked and re-checked. The covers, back and front, are uploaded and ready. I’m just waiting on one small detail, and then hope to have the book available within a few weeks. I figure hey, it took me a long time to write it and much longer to work up the courage to share it with others. I can wait a fortnight or so to make sure everything is as it should be. While I’m excited about actually seeing it in print (though I personally won’t see it till August, when mail service resumes here in Antarctica), what I feel more than anything is a happy kind of gratitude. My family and friends have been supportive of this endeavor from the start, and for that I’m thankful. But even more amazing to me has been the number of total strangers willing to share their knowledge and offer encouragement. During early research I did when I began seriously considering the indie publishing route, I stumbled on Joel Friedlander’s site, The Book Designer. Wow. What a fantastic source of user-friendly information. And it’s free. I did eventually purchase some additional guides he had on offer about specific elements of book design, but I paid less for them than I would for a decent meal and think it was money well-spent. More recently, a friend who is a fan of sci-fi author Kay Kenyon suggested I check out her site. Again, I was astounded by the amount of useful (and free) information, and in particular the practical but encouraging tone. People like Kay and Joel are established in the business. They already have audiences. They don’t need to spend time helping out authors new to indie publishing but they do, and I think that’s terrific. 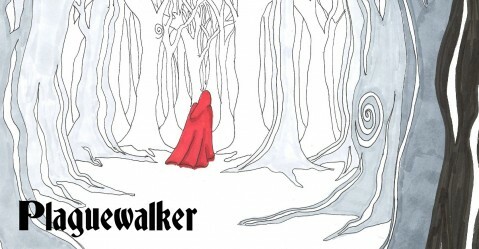 Even in the community forums at CreateSpace, the indie publishing hub I’m using to bring Plaguewalker to readers, there are dozens of knowledgeable people who’ll answer the most mundane questions from newbies, over and over, with no financial gain for themselves. You didn’t think I’d go too long with a LoTR reference, did you? So, as I wait for the final bit of preparation to fall into place before Marcus heads off into the world, I thank all these amazing people who offer their time and talent to anxious authors like me, not to make money but to make better books. For everyone. Plaguewalker has made the Quarterfinals! Plaguewalker has advanced to the next round in Amazon’s Breakthrough Novel Award, reaching the Quarterfinals in the Young Adult Fiction Category. The competition began with 5,000 entries in early February and has been whittled down to 250 in the Quarterfinals, announced online today. The next winnowing will be in late April, when 100 entries will make the Semifinals. Okay, that was the professional journalist in me. The author, the person who spent hours alone first with just the bones of Plaguewalker, then its guts and finally flesh, is a bit giggly right now. This has been a long journey. I began writing Plaguewalker in 1996, finished it two years later, tried to get it published and received one “well done but not for us, thanks” rejection after another, then set it aside, in a box, for years. When I started to read one article after another about the self-publishing revolution, I decided to dust PW off, as a test case. At fewer than 70,000 words, it was a baby compared with my other, more monstrously sized novels. I remember the night I read Amazon’s page on the book. Medieval Bavarian executioner and his relationship with his daughter. I’ll admit it, reading about The Hangman’s Daughter took the wind out of my sails to publish PW. Sure, there is an apparently inexhaustible market for books about vampires and Freemason/Illuminati conspiracies hidden in ancient texts, but just how big is the audience for tales about medieval Bavarian executioners? I set PW aside for another year, a bit crushed and fearing that anyone who looked at it would think it was a ripoff of The Hangman’s Daughter (which I never did read, so verklempt was I over learning it even existed). Then I decided I was going to self-publish The War’s End, all 180,000 or so words of it (Note: shorter than Game of Thrones, if nothing else). Before taking the plunge, I needed to test the process. I needed PW. I had to dig the files out of storage. I wrote them using MSWorks 3, I believe, four laptops ago. This meant a lot of file conversion and technofussing, which is not one of my stronger points. Finally I got it into workable form in OpenOffice. I started reading it and suddenly I fell in love with it all over again. I edited it for a few typos and style issues, but I’d say 99% of it was untouched. Then I tried to upload it to CreateSpace–and discovered OpenOffice does not play well with CS. Okay, okay… I gave up and bought MSWord, re-converted it and noticed it was the last day to submit manuscripts to Amazon’s Breakthrough Novel Award. I did it really as an afterthought. I was more focused on other things, like redeploying to Antarctica and buying more fancy Prismacolor markers to take with me. I’ve spent the past month wrestling with templates on CreateSpace, trying to get PW published, not really thinking about the contest. It was cool when I made the first cut, and a delightful surprise when I made the Quarterfinals. And then I got a real shock of the nicest sort. ABNA lets you read feedback from “expert readers” who have read your excerpt (in my case, the first two chapters of the book). I was a little afraid to look at the comments. I may have this reputation for being a total badass (somewhat warranted), and I’ll admit I fear nothing, but when it comes to PW, I’m a bit fragile. Not so much for my writing, but because, out of all my characters, PW‘s Marcus is very dear to me. I feel protective of him almost as if he were my defenseless child rather than a seven-foot, brutish executioner. The main characters in The War’s End, Kharrn and Sventevit, well, I love them both. But I know they can fend for themselves. Marcus, ah, he’s special. Misunderstood, alienated and isolated in a way no other character of mine has been, I feel for him. He has no moral compass because the concept is itself unknown to him. And yet he is not a bad man. Yes, he tortures and kills people for a living, treats the women in his life horribly and is utterly detached from the suffering of others, but it’s not because he’s inherently evil. He just doesn’t know any other way. I was a little worried readers might not respond to Marcus’ vulnerability, his insecurity and even his dry sense of humor. Friends who’ve read PW have assured me all of his better qualities come through, but it wasn’t until today, when I read the glowing comments of strangers who met Marcus for the first time, that I believed it. Thank you, expert readers. Even if PW advances no further in the competition, your enthusiasm for it makes me feel so much less stressed about sending Marcus out into the world on his own. Once I’ve made sure he’s wearing his gloves and carrying a spare pair of nice warm socks.